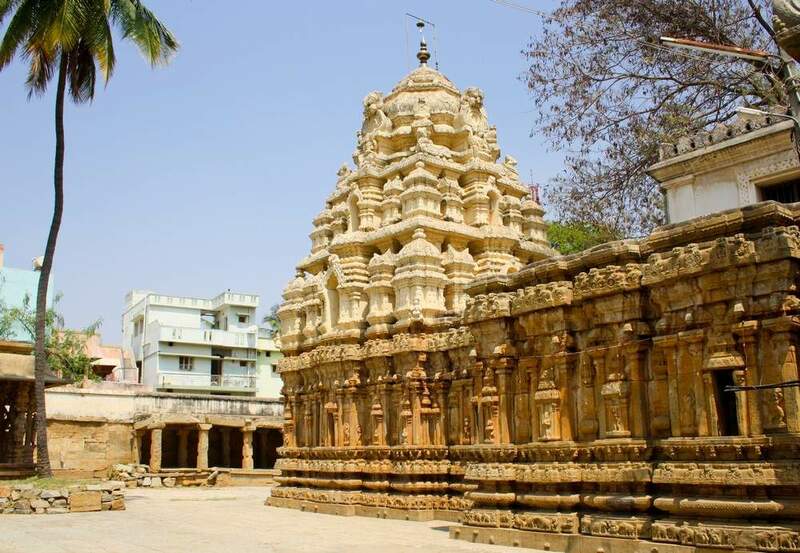 The Kolaramma temple in the town of Kolar is not only popular but also one of the big temples of that district. 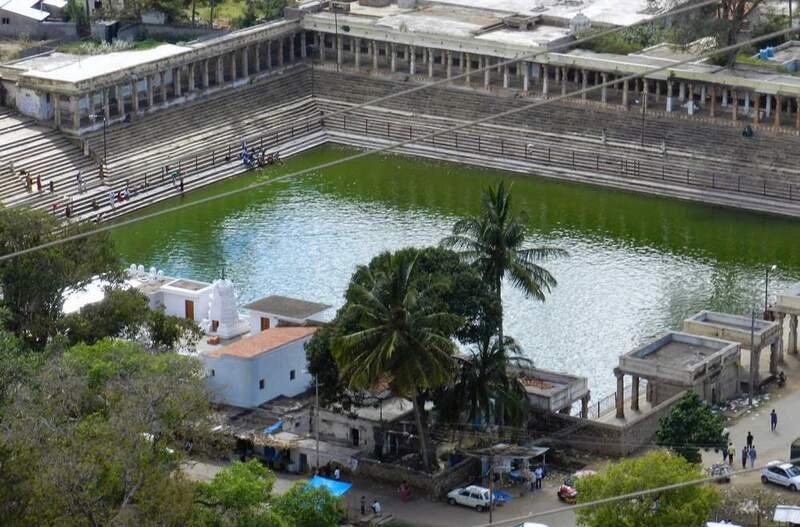 Kolar is an ancient town known by various names such as Kolahalapura, Kuvalala, Kolala and finally Kolara. 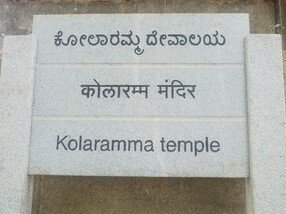 This name Kolahalapura is connected with puranic hero Parashurama. According to another tradition a cowherd boy by name Kola got a large amount of money by means of a treasure trove and goddess Renukadevi advised him to build a temple in the name of Kolaramma and he devotedly obeyed the goddess and built this temple. Apart from these traditions, this was the original capital of the Gangas before they moved to Talakad. 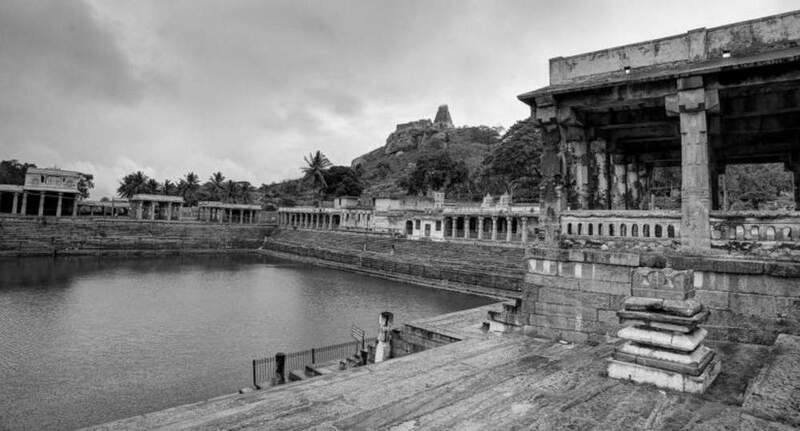 Later it became a part of the Chola kingdom and after the defeat of the Cholas by the Hoysalas, it came under the Hoysala rulers. Finally, it became a part of the Vijayanagara empire. The Kolaramma temple is a Chola temple as evidenced by an inscription of 1033 CE. 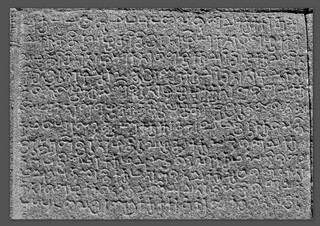 According to this inscription, the Kolaramma temple was built at the order of Rajendra Chola. His general Uttama Cholabrahmamarayan built this temple in stone, which was formerly a brick structure. The Kolaramma Temple is built in the Dravidian or South Indian style; the pyramidal superstructure terminations in a curved roof over the sanctuary and the exterior pilastered walls with niches. 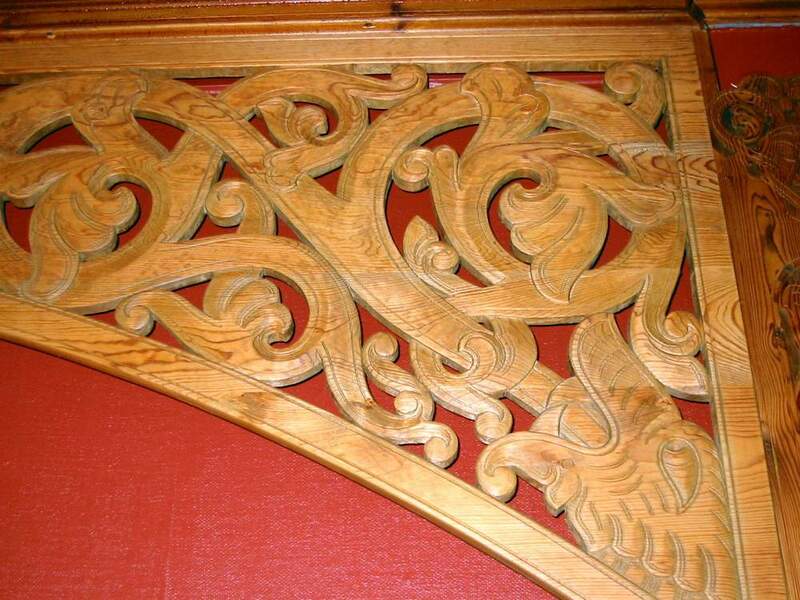 The doorway is richly-carved with scrollwork and volutes encompassing mythological characters. The ground plan of the temple is slightly unusual. 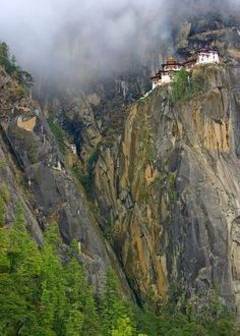 It is a Dravidian temple. 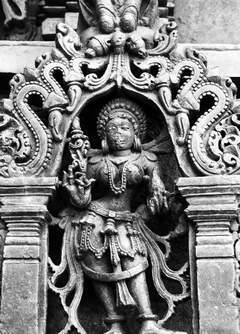 Its mahadvara has an imposing appearance and has well carved doorways. 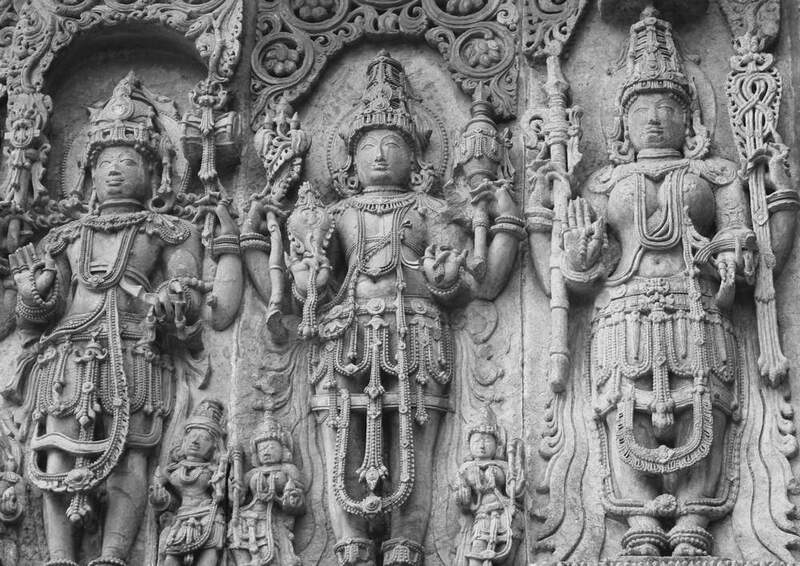 This is of the Vijayanagara period. In the centre of the prakara is the main garbhagriha. 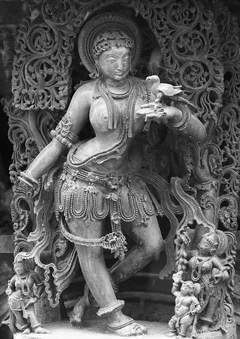 It has the images of Saptamatrikas (seven mothers) and an image of Kolaramma which actually is the image of Mahishamardini. She has eight hands holding different weapons and a demon under her feet. The fierce attitude of the sitting goddess is worth mentioning. In another room, there are replicas of these images in mortar. It is believed that these mortar images were in worship originally before the stone ones came into use. 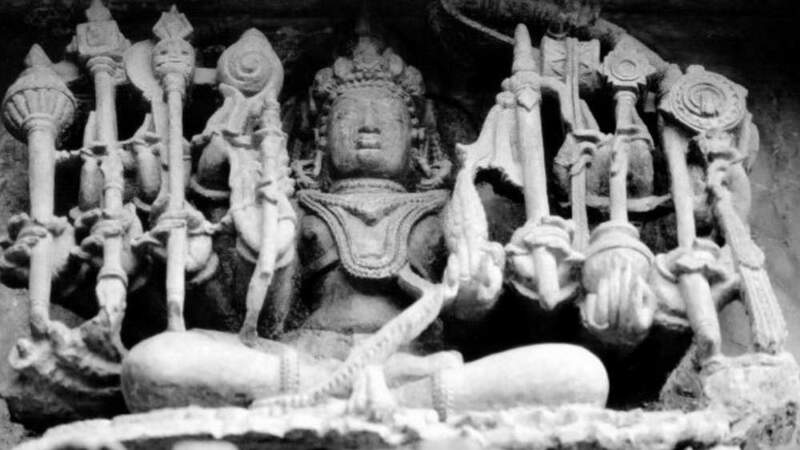 The goddess in the sanctuary was Mahishasuramardini, known as Kolaramma. 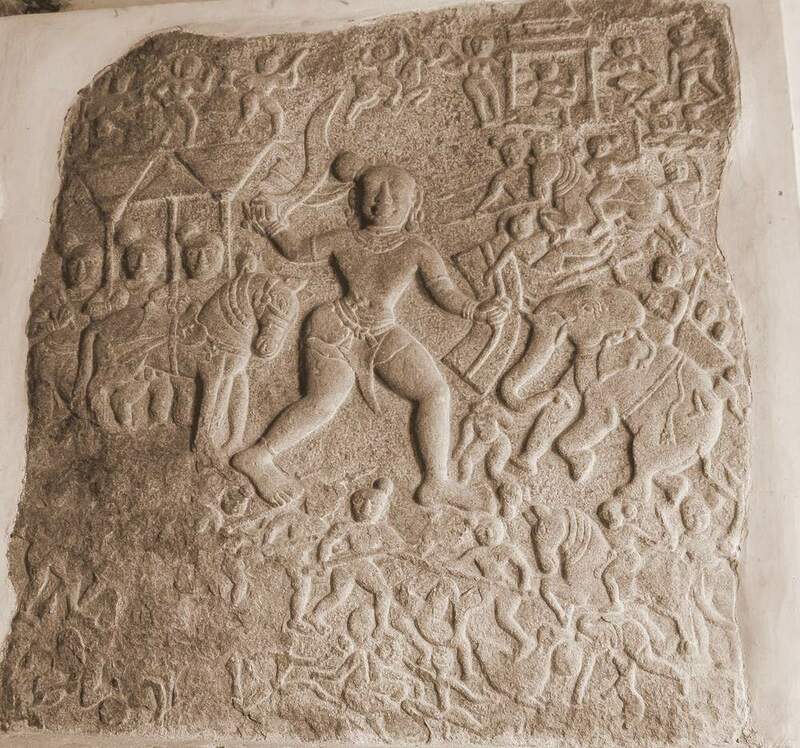 This had replaced the original image of Kolarammma. The image has been replaced again by Saptamatrika figures. 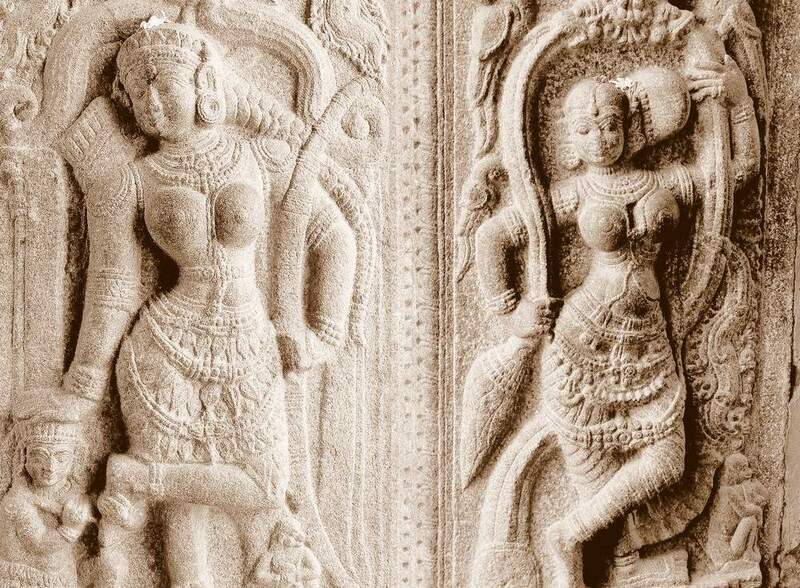 There is another stone image of six feet in height called Kapalabhairava, locally referred to as Mukanancharamma. Some people believe that this was the original image of Kolaramma. However, this image is of great interest, as devotees believe that she will relieve them from the bite of the scorpion. Even today, people visit this temple for this purpose. The temple is a center of Shakti veneration, a sect of ancient origins of the divine creative force of the Mother Goddess. Once a year people go to this temple and offer silver scorpion to this deity to ward off scorpion bite in future. The erstwhile maharajas of Mysore frequently visited this temple to get the blessings of Kolaramma. 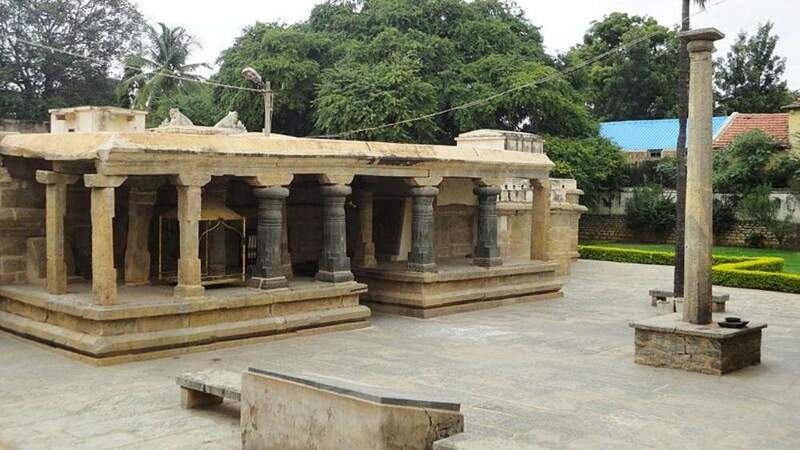 Thus, this ancient temple is interesting and important in the town of Kolar. Everything is generated by the one and will eventually return to the one. Don’t misinterpret this and cerebrate that since you are not supposed to affix to relishes and disrelishes, you should consequently not cultivate the Way. In addition, when you visually examine Zen monks walk, it’s very fascinating. They have a different kind of walk from everybody else in Japan. Most Japanese shuffle along, or if they wear Western habiliments, they race and hurry as we do. Zen monks have a peculiar swing when they ambulate, and you have the feeling they ambulate rather the same way as a feline. There’s something about it that isn’t hesitant; they’re going along all right, they’re not remotely senescent around, but they’re ambulating just to ambulate. The reason for this is that it has never been separate from us. One evening as Shichiri Kojun was reciting sutras a thief with a sharp sword entered, demanding wither his money or his life. When you are in pain, remember to bring your mind back to your Buddha nature, your goodness and capacity for mindfulness, calm, and seeing deeply into the situation. If you allow yourself to be dominated by negative emotions, you will react in ways that will cause more suffering. You will want to punish the other person and say unkind things. We have all done this many, many times. To break out of this habit of suffering, this trap, we have to remember to practice mindfulness, to touch our Buddha nature. 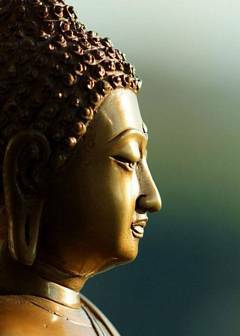 … We all have negative emotions and we also have Buddha nature within us, and it is possible for them to coexist in peace. 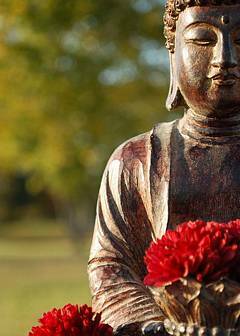 The practice is to recognize our Buddha nature without running away from them. With mindfulness we can, maintain our peace, our stability, and our compassion in every moment and in every circumstance. Our struggle is obligatory, but it is eventually just our inclination to be present that counts and that this is the true effort of the way. Glad to know that you have time to meditate. 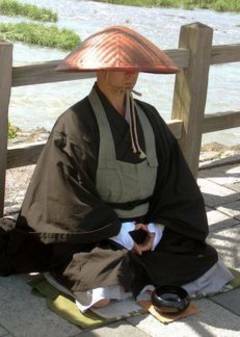 In a country like America, where people can do so many things, and where there are so many distractions, to meditate is not easy. One gets older doing this and that, finding no real satisfaction in anything. Coming to accept that there is nothing wrong with me has been a very important part of growing up. How can one be certain that there was a Teacher known as the Buddha? We present everything to the object of our surrendering. The basic act of surrender does not involve the worship of an external power. Rather it means working together with inspiration, so that one becomes an open vessel into which knowledge can be poured. You may feel liberated. If you do this, you are grasping the false. For instance, suppose you endeavor to clear a blocked pipe by pushing another object into it. You can see the tip of each blade of grass and the outline of every leaf. The person who is seeking to attain is separate from the attainment, the object of his search. All of your actions will boomerang back to you and you will have to take the consequences. Just as gainsaying, the linear conception of time establishes an incipient area of ethical responsibility, so in taking up this responsibility we locate ourselves more entirely and firmly in history. On retreat, you are living with many people, which may create an uncomfortable environment. It is from this particular viewpoint that the rationale for this interpretation has developed. To paraphrase lines three and four: As soon as you discard your likes and dislikes, the Way will immediately appear before you. One is that the mind simply does not move. Perhaps you are having a miserable time from day one. Eventually they are married and are very happy together. This concept can be found in both oriental and western philosophy. 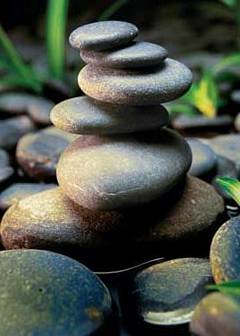 Indeed, practice can make you more mature, tranquil, and stable. “Our schoolmaster used to take a nap every afternoon,” related a disciple of Soyen Shaku. “We children asked him why he did it and he told us: ‘I go to dreamland to meet the old sages just as Confucius did.’ When Confucius slept, he would dream of ancient sages and later tell his followers about them. Although perhaps only saints and buddhas embody absolute love completely, every moment of working with the challenges of relative human love brings a hint of this divine possibility into our life. As the child of heaven and earth, you are a mix of infinite openness and finite limitation. This means that you are both wonderful and difficult at the same time. You are flawed, you are stuck in old patterns, you become carried away with yourself. Indeed, you are quite impossible in many ways. And still, you are beautiful beyond measure. For the core of what you are is fashioned out of love, the potent blend of openness, warmth, and clear, transparent presence. Boundless love always manages somehow to sparkle through your limited form. 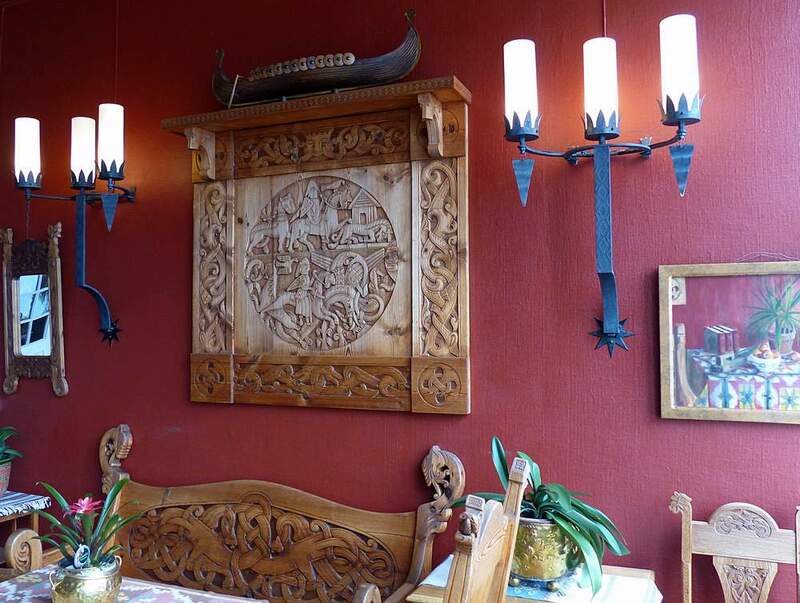 Kviknes Hotel—this tradition of hospitality at Balholm stretches back to 1752. The Kvikne family, who own the hotel, took over in 1877, marking the start of fast-paced development, which continues to this day. The hotel was built in the Swiss chalet style; the original character of the palace has been left unchanged despite several new buildings, rebuilding, and extensions. 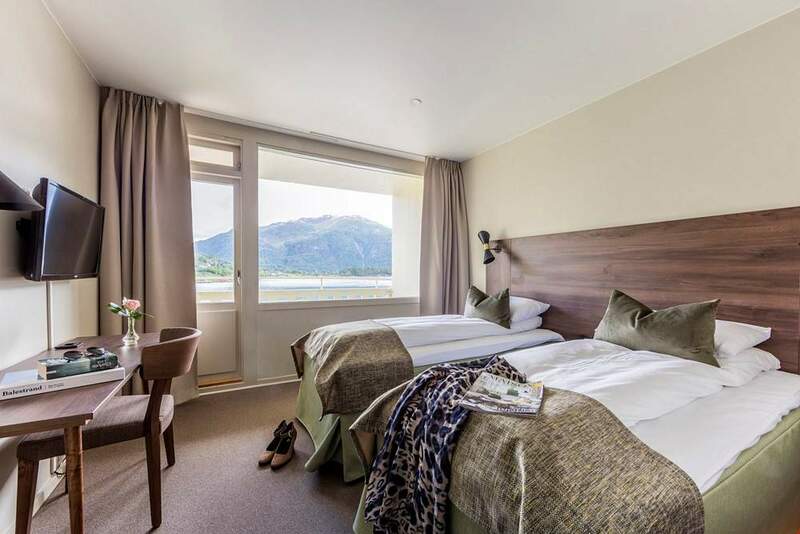 Kviknes is a modern hotel with soul and atmosphere, and is one of the largest tourist hotels in Norway. 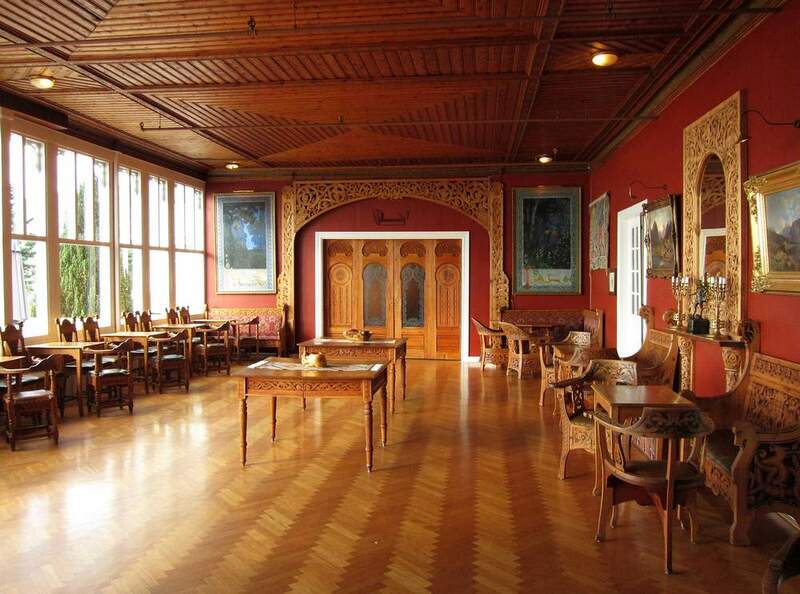 The hotel has 190 rooms: 25 rooms in the historic Swiss chalet-style building and 165 in the modern building from the 1960s (in the Late Modern style). 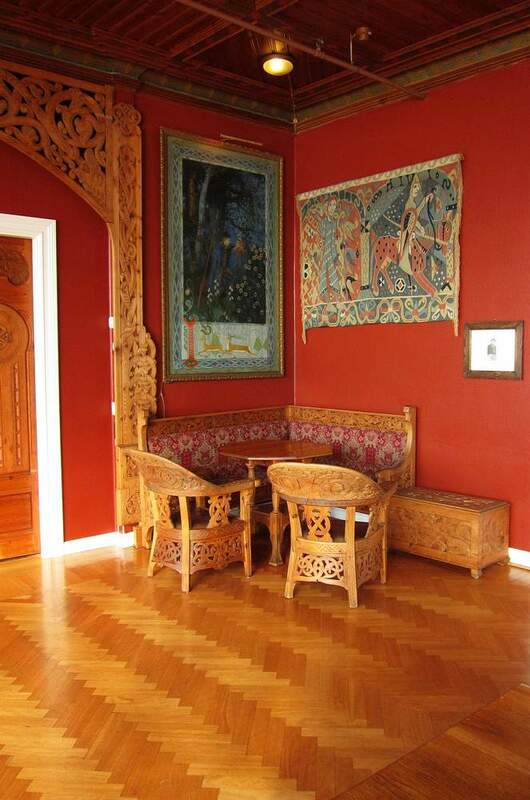 The hotel has a long list of prominent guests and has amassed a collection of works of art and treasures that adorn the hotel and contribute to its unique style. Activities and special features: Fjaerland and Norwegian glacier museum, the Flam railway, the Naeroyfjord, magnificent walking terrain in the mountains. Beautiful biking and walking along the fjord. Free use of rowing boat and fishing gear, good bathing facilities for residents. 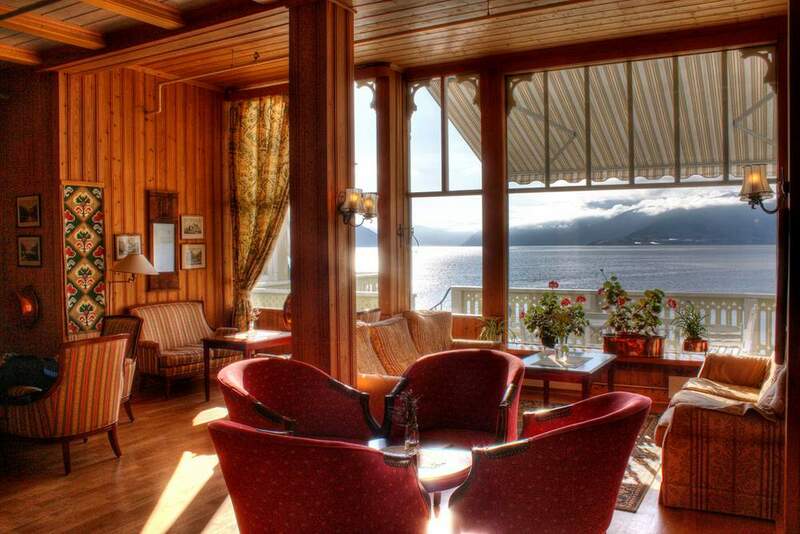 The Aegir Bryggeri Pub & Microbrewery is in Flam. 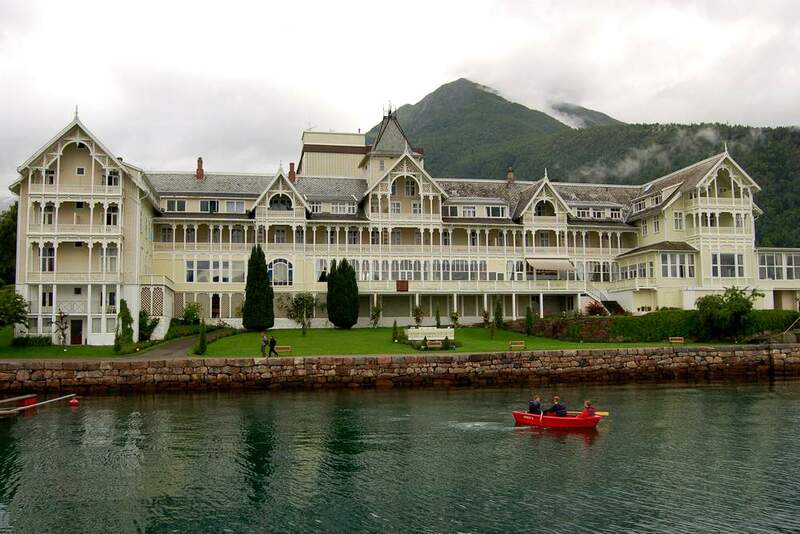 Kviknes Hotel is the classy Grande dame of Balestrand, dominating the town and packed with tour groups. 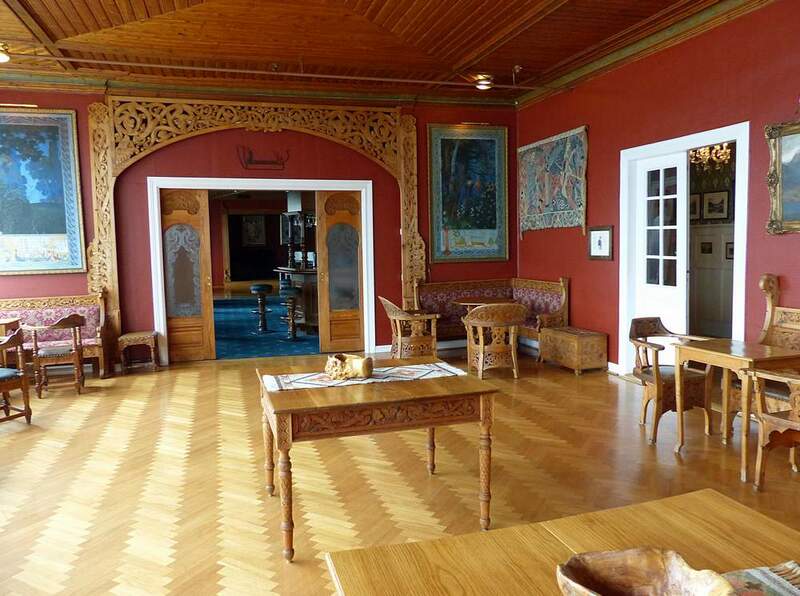 The picturesque wooden hotel—and five generations of the Kvikne family—have welcomed tourists to Balestrand since the late 19th century. The hotel has two parts: a new wing, and the historic wooden section, with 17 older, classic rooms, and no elevator. All rooms come with balconies. The elegant Old World public spaces in the old section make you want to just sit there and sip tea all afternoon. Part of the Kviknes ritual is gorging on the store Koldtbord buffet dinner—open to non-guests, and a nice way to soak in the hotel’s old-time elegance without splurging on an overnight. 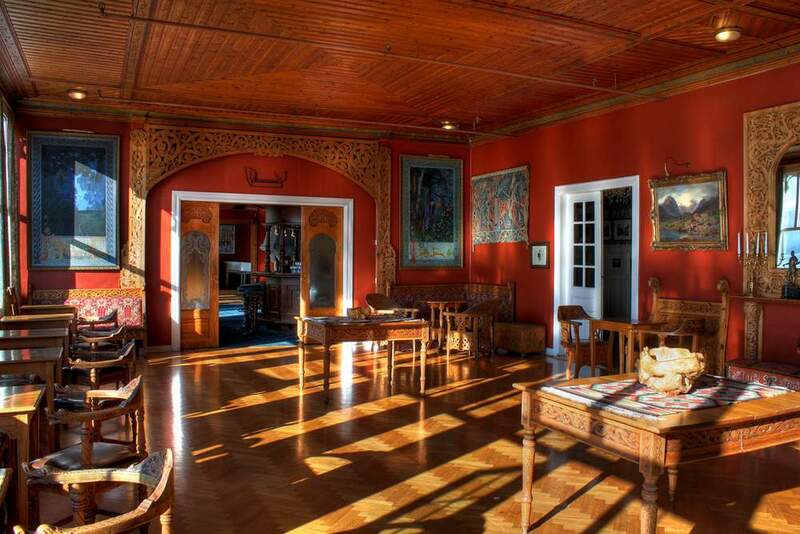 Kviknes Hotel offers a splendid store Koldtbord buffet dinner in a massive yet stately old dining room. 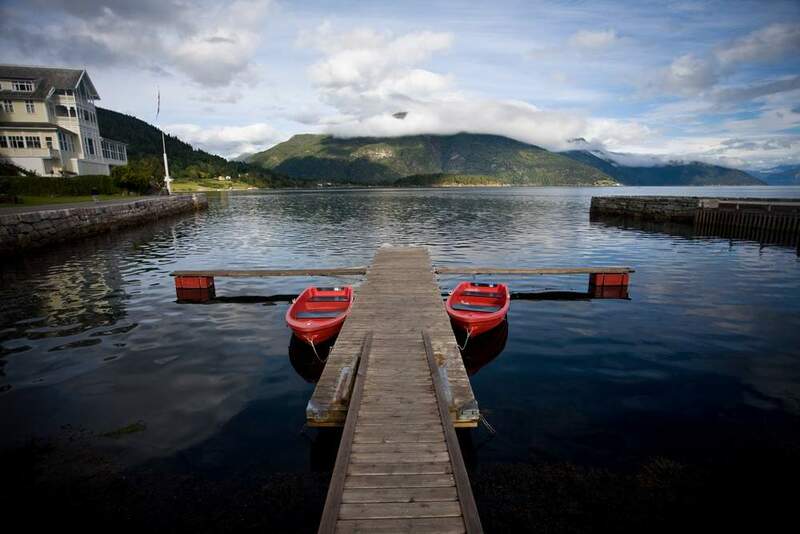 For a memorable fjord-side smorgasbord experience, it does not get any better than this. Do not rush. Consider taking a preview tour—surveying the reindeer meat, lingonberries, and fjord-caught seafood—before you dive in, so you can budget your stomach-space. Get a new plate with each course and save room for dessert. Each dish is labeled in English. After dinner, head into the rich lounge to pick up your cup of coffee or tea (included), which you will sip sitting on classy old-fashioned furniture and basking in fjord views. A two-minute Christmas-themed television sketch, featuring Paul Eddington as the Rt Hon. 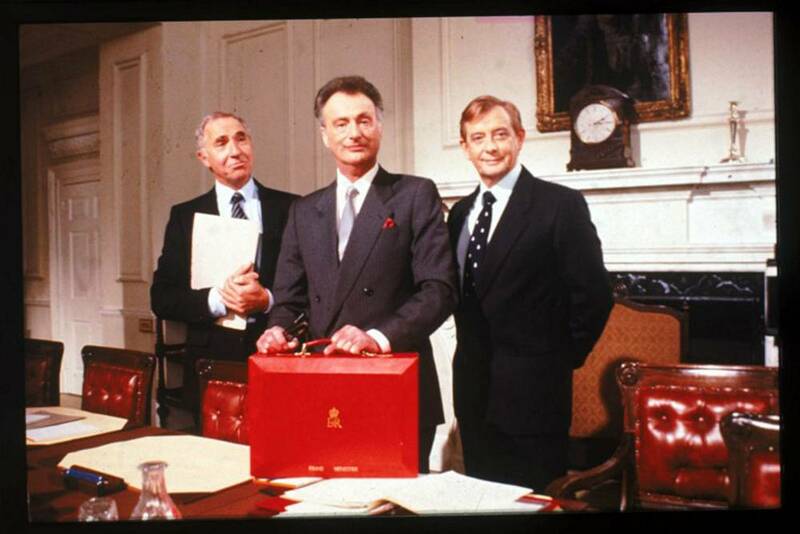 Jim Hacker, Nigel Hawthorne as Sir Humphrey Appleby, and Derek Fowlds as Bernard Woolley, was broadcasted on BBC One as part of a Christmas special named The Funny Side of Christmas. Jim Hacker: Are there more, Bernard? 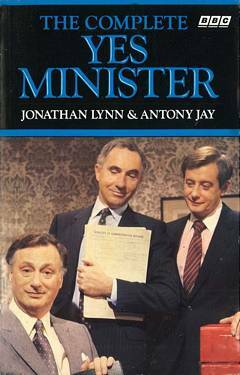 Bernard Woolley: Before you go home for the holiday, Minister, Sir Humphrey has something to say to you. 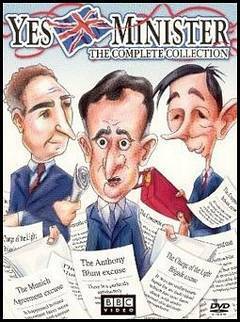 Sir Humphrey: Oh thank you, Bernard. Minister, just one thing. I wonder if I might crave your momentary indulgence in order to discharge a by no means disagreeable obligation which has, over the years, become more or less established practice within government circles as we approach the terminal period of the year, calendar, of course, not financial, in fact, not to put too fine a point on it, Week Fifty-One, and submit to you, with all appropriate deference, for your consideration at a convenient juncture, a sincere and sanguine expectation, indeed confidence, indeed one might go so far as to say hope, that the aforementioned period may be, at the end of the day, when all relevant factors have been taken into consideration, susceptible of being deemed to be such as to merit a final verdict of having been by no means unsatisfactory in its overall outcome and, in the final analysis, to give grounds for being judged, on mature reflection, to have been conducive to generating a degree of gratification which will be seen in retrospect to have been significantly higher than the general average. Jim Hacker: What’s he talking about? Jim Hacker: Are you saying “Happy Christmas”?